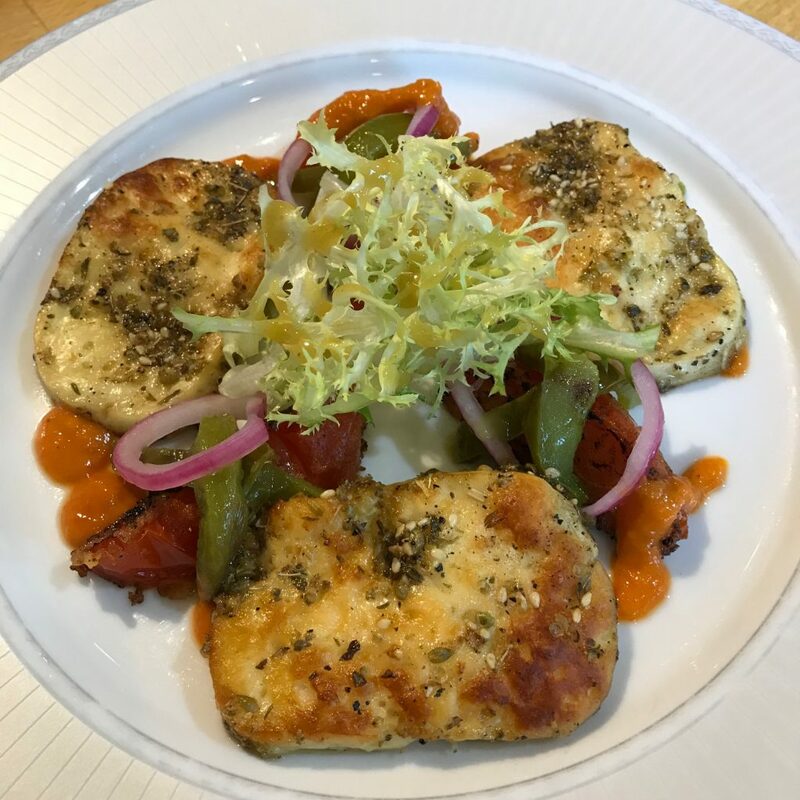 Dried and marinaded the Halloumi in Sesame Seeds, Oregano, Pepper and Olive Oil. Roasted a Green Pepper and Red Mirabella Pepper. Simply sliced the Green Pepper and used the Red for a purée dressing made from Sun Dried Tomatoes, Pepper and Red Wine Vinegar. Served 3 quick fried Tomatoes with sliced Green Pepper and pickled Shallots with half a cocktail Gherkin, the grilled Halloumi, Curly Endive and the Red Pepper Dressing. Served the pan-fried Sea Bass with charred Leeks, Green of Leek Cream. 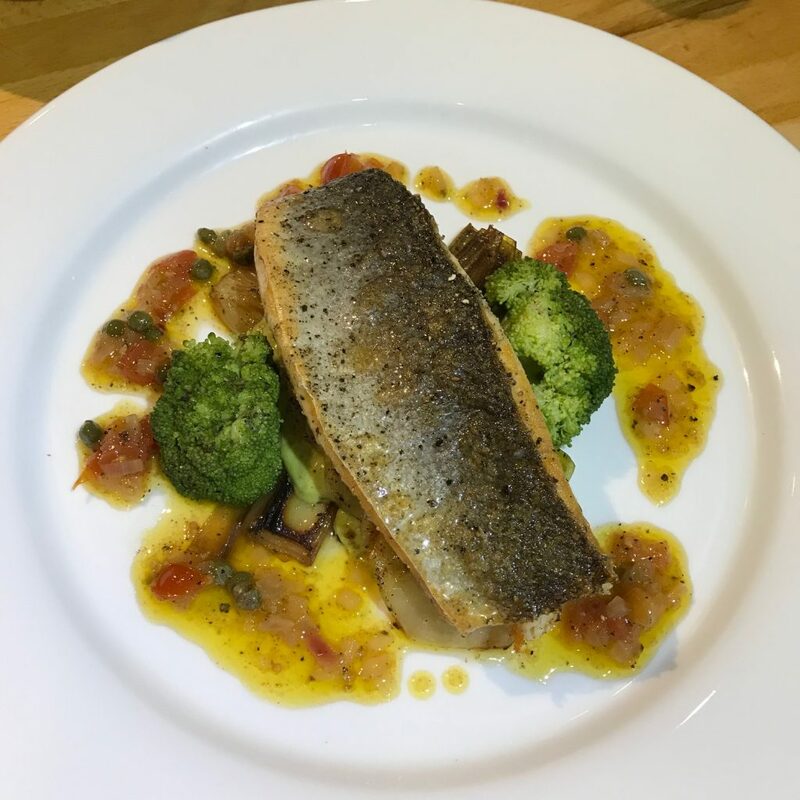 Broccoli and Sauté Potatoes finished with Sauce Vierge. 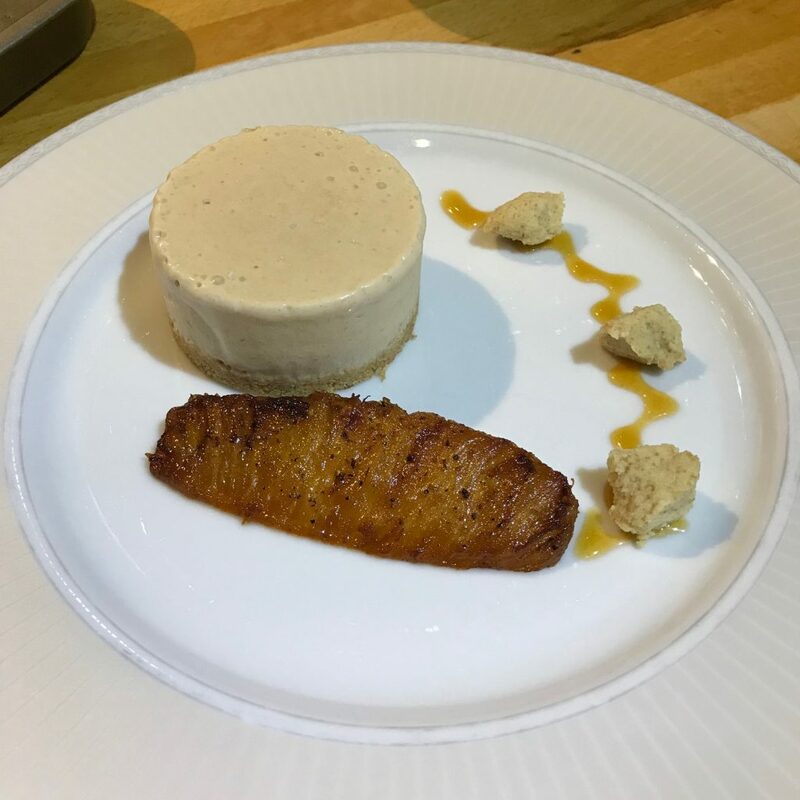 Made a Banana Parfait with Rum and Lime served with a slow fried piece of Pineapple with Black Pepper caramelised in Dark Brown Sugar and Rum. Served with Caramel Sauce and small ‘balls’ of Almond Crumble.